Journey through Awareness Alley where you will be engulfed by dynamic laser art along Melbourne Zoo's historic Main Drive. On the way, learn about our fighting extinction species from the colourful Neon lights by artist Carla O'Brien. Transport yourself into the world of Graeme Base's Waterhole, where illuminated and animated giant tortoises bring this childhood favourite to life. Explore the giant neon maze. 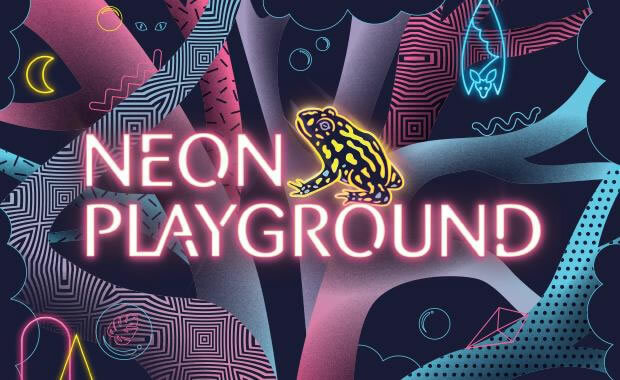 Inspired by the Southern Corroboree Frog's distinctive yellow and black colouring, almost 600 meters of LED neon suspended from the ground creates a labyrinth of light with surprises along the way. These are just some of the amazing experiences - come along to see it all!